Hofstra Pride Guides: HU Students for fitness! Calling all Hofstra students looking to get fit! There are so many ways to stay fit here on campus! Take advantage of our newly renovated Fitness Center, that is free for all students. If you’re not into working out on your own, Hofstra offers a variety of different exercise classes including yoga and cycling! There are also many healthy food options on campus such as Organic Grill in the Student Center and Build your own Salad in Bits and Bytes Cafe. 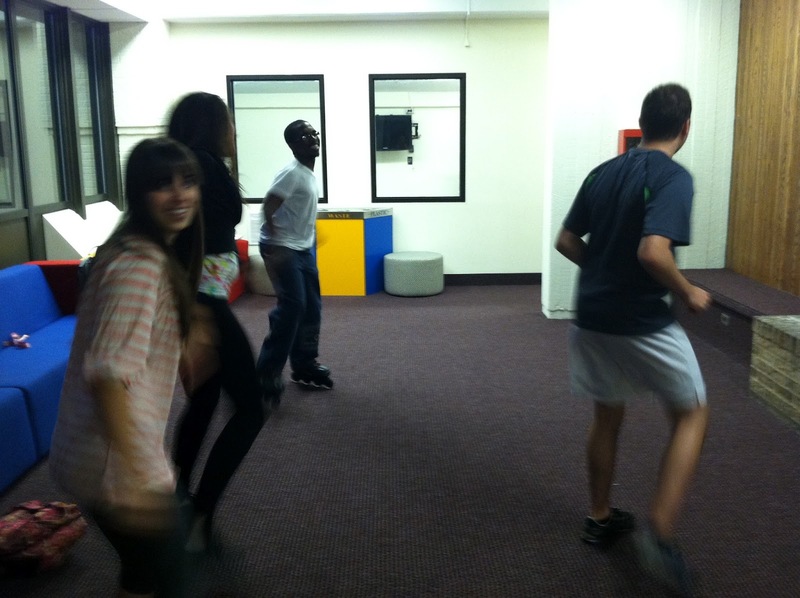 Resident Assistants are all for keeping their residents healthy as well by putting on programs focusing on fitness! In the photo above RA Lorenzo Rosselli taught Zumba to his residents and provided healthy snacks such as fruits, veggies, and lots of water! Work it out guys!